dark slate gray Cloth. 2016 Jeep Patriot Sport Bright White Clearcoat FWD CVT 2.0L I4 DOHC 16V Dual VVT 22/26 City/Highway MPG Hibbing Chrysler Center, where everybody gets a great deal! 2016 Jeep Cherokee Limited Deep Cherry Red Crystal 4WD 9-Speed 948TE Automatic 3.2L V6 Hibbing Chrysler Center, where everybody gets a great deal! Priced below KBB Fair Purchase Price! Odometer is 4733 miles below market average! 2018 Chrysler Pacifica Touring L Brilliant Black Crystal Pearlcoat FWD 9-Speed Automatic 3.6L V6 24V VVT 19/28 City/Highway MPG Hibbing Chrysler Center, where everybody gets a great deal! 4WD. Certified. 2017 Jeep Grand Cherokee Limited Velvet 4WD 8-Speed Automatic 3.6L V6 24V VVT Jeep Details: * Powertrain Limited Warranty: 84 Month/100,000 Mile (whichever comes first) from original in-service date * Includes First Day Rental, Car Rental Allowance, and Trip Interruption Benefits * Vehicle History * Limited Warranty: 3 Month/3,000 Mile (whichever comes first) after new car warranty expires or from certified purchase date * Warranty Deductible: $100 * Roadside Assistance * Transferable Warranty * 125 Point Inspection Awards: * 2017 KBB.com 10 Most Awarded Brands Hibbing Chrysler Center, where everybody gets a great deal! 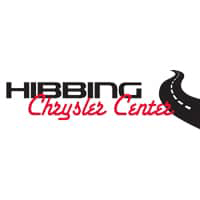 2015 Polaris xt 1000 razor Red auto Hibbing Chrysler Center, where everybody gets a great deal! CVT with Xtronic, AWD. Priced below KBB Fair Purchase Price! Odometer is 7574 miles below market average! 2018 Nissan Murano SV Cayenne Red Metallic AWD CVT with Xtronic 3.5L V6 DOHC 24V 21/28 City/Highway MPG Hibbing Chrysler Center, where everybody gets a great deal! 4WD. Priced below KBB Fair Purchase Price! Odometer is 3259 miles below market average! 2018 Nissan Pathfinder SV Gray Metallic 4WD CVT with Xtronic V6 19/26 City/Highway MPG Hibbing Chrysler Center, where everybody gets a great deal!